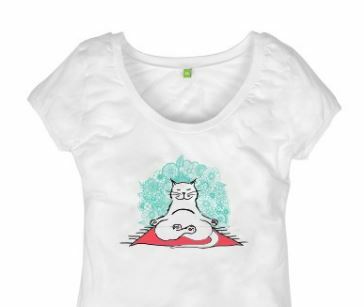 Exclusively designed by Etsy shop Badger and Squidge (Codie & Vickie....) this cute t-shirt was in our April Yoga Cats box. It is made of the softest 100% organic cotton and comes in various sizes. Just right for the upcoming summer months. NOTE: SIZE 16 IS SOLD OUT. Sizes are UK sizes.